#весна_Klingspor. 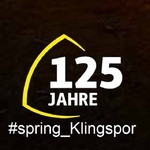 Take advantage of the spring offer for the products Klingspor in the company Abrasivekomplekt. From 2 to 5 April 2019 at the exhibition MosBuild in Moscow, 2019, the company will present Klingspor abrasive and diamond tools. In Abrazivkomplekt decided to support the partner and are ready to offer buyers spring special 15% discount promocode #весна_Klingspor or #spring_Klingspor. To obtain special conditions for abrasive and diamond tools Klingspor send a request indicating the promotion code or call it call Manager. Conditions of the promotion and dates You can check in the offices of Moscow, St.-Petersburg, Ekaterinburg. We are grateful to all who share will place the code on your pages. Waiting for Your applications for products with promo code for the action “Spring with Klingspor”.